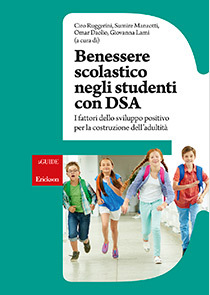 The condition of «school well-being» is incredibly relevant to that of «well-being» when faced with choices that society imposes in adulthood. This is what has emerged from the two studies, described in this book, about children with SLD moving into adulthood. These studies were set off by the idea that we can update our support practices by assessing both outcomes in adulthood and what factors contributed to these differing results. The studies demonstrate that we can identify significant factors both in the family environment and the school and healthcare setting and suggest that all these factors are susceptible to positive activation.The condition of SLD is constantly being enriched with new studies coming from quite different perspectives: neurology, neuropsychology, developmental psychology, lifespan psychiatry, pedagogy, psychopedagogy and sociology. In this vastness we must produce an updated summary which encourages coherent practices and synergic interventions aimed at promoting the well-being of the individual. This book was conceived as a tool for the popularisation, among the various agencies of the same community (families, schools and the healthcare service), of a shared culture regarding specific learning disorders.